Saved from being swallowed up by a high-street chain, Simpson’s is back. Emma Hughes inspects the menu. On the back of the menus at Simpson’s in the Strand, there used to be a cartoon by H. M. Bateman of a waiter, recoiling from a diner who’d asked him whether the meat being served was ‘English or foreign’. Around him, other customers stare in horror at the blasphemy and cutlery flies through the air. That was Simpson’s: a place where the status quo was defended to the hilt. Opened as a coffee house and chess club in 1828, its carving trolleys have trundled past everyone from Charles Dickens to The Prince of Wales. Conan Doyle made Sherlock Holmes a patron and Wodehouse riffed on it regularly. However, like sharks, restaurants have to keep moving forward or they sink. 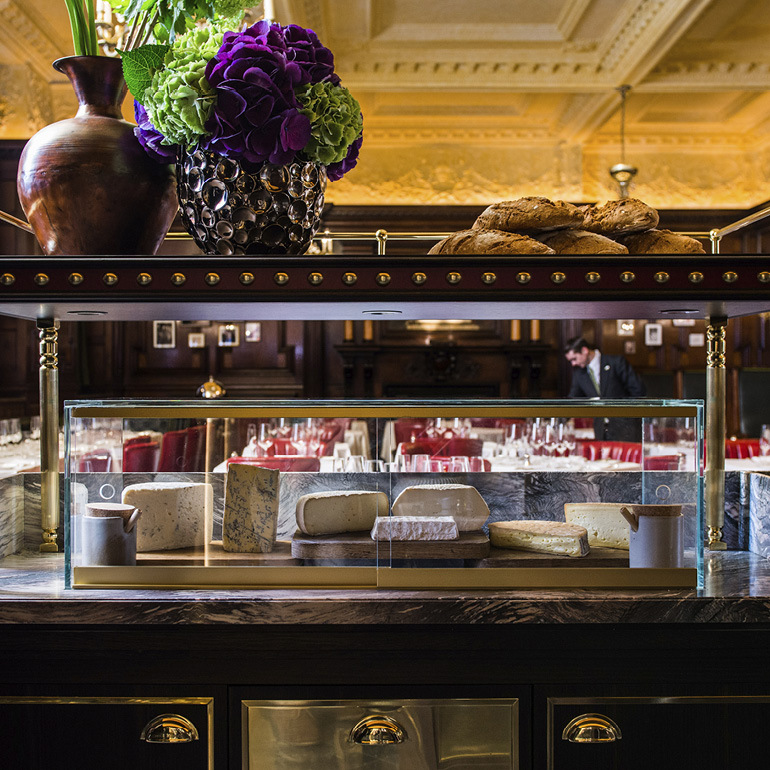 In 2015, The Savoy, Simpson’s landlord, announced that it was looking for a new operator, which wouldn’t have to keep the name or the ethos. There was talk of it becoming an All Bar One. What Simpson’s needed was a kind of culinary Janus – someone with one eye on the past and one on the future – to head up its kitchen. Step forward new head chef William Hemming. In some ways, he was a left-field choice. He grew up in Pembrokeshire, working on farms and fishing boats, but spent his formative cheffing years in Germany, at Berlin’s Ritz Carlton. His plating bears witness to European elegance (he gets animated telling me how the end result should look like ‘a game of chess, with lines going in different directions’), but, in terms of the actual food, absence does seem to have made his heart grow fonder. On the face of it, not a lot has changed at Simpson’s. 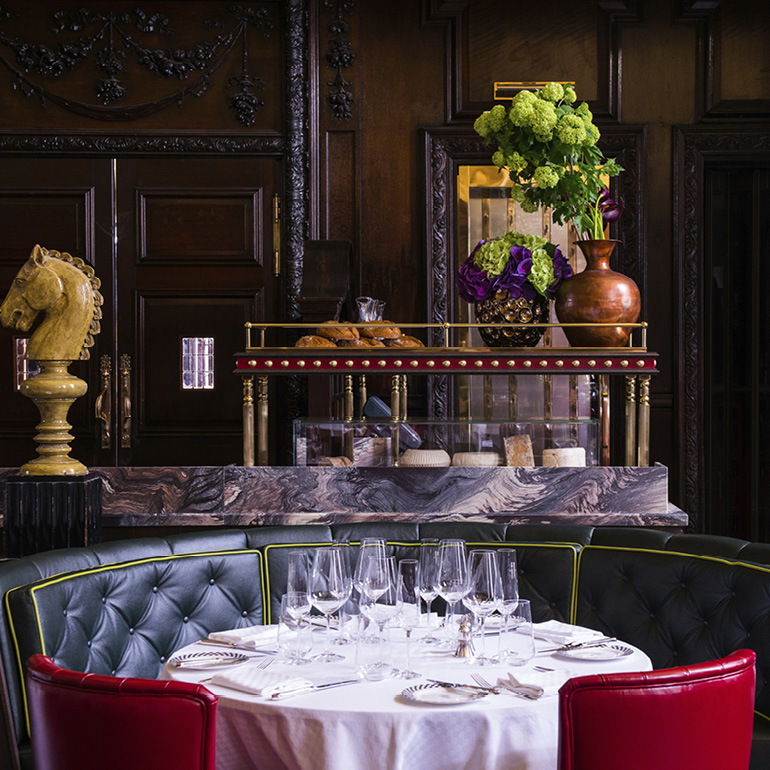 Robert Angell Design (The Berkeley, Lime Wood) has overseen a plush refit, but the dining room still cocoons you and the noise level remains low – in Something Fresh, Wodehouse notes approvingly that ‘no strident orchestra forces the diner to bolt beef in ragtime’. However, menuwise, things aren’t quite as unbending as they might look. ‘Take a very old-school dish such as ham hock with Savoy cabbage and pease pudding,’ Mr Hemming explains. ‘We’re serving it as a salad, with the ham turned into a terrine that’s broken up and pease-pudding beignets – we add a raising agent and deep-fry the mixture to create these light, fluffy dumplings. And the leaves will be chargrilled.’ He’s even created his own Simpson’s mustard for the dressing, which diners can buy on their way out. You get the feeling Bateman’s grouchy carver would have been delighted by the way Simpson’s second act is panning out—just as long as nobody asked him about the meat. The aged rib of beef served from the trolleys comes from, (whisper it), Scotland. Rosie Paterson finds the 71 best restaurants in town and gives advice for everything from work lunches to godchild treats.